How An Insider Threat Operates -True Stories | InCyber. Inc.
On an April night in 2010, someone broke into her Gmail account. He deleted all of the emails saved on the account, and then leveraged it to access three more email addresses. The hacker also order a $500 phone using the credit card connected to one of the accounts. Before Cristina could find out, she had to recover her accounts, one by one. One of her Yahoo Mail accounts still had the original security questions in place before the hack. With these, she was able to recover this account, and branched out from it to the others. An insider threat is a person with access to sensitive company information, who might compromise the organization’s security, either willingly or taken advantage off by an outside attacker. An insider threat doesn’t strictly need to be an employee. He might for instance be a third party contractor who has temporary access to the business’s data. The more media-worthy cases of insider threats focus on employees who violated their employers trust by stealing client databases, technological know-how or outright sabotaging them out of spite. 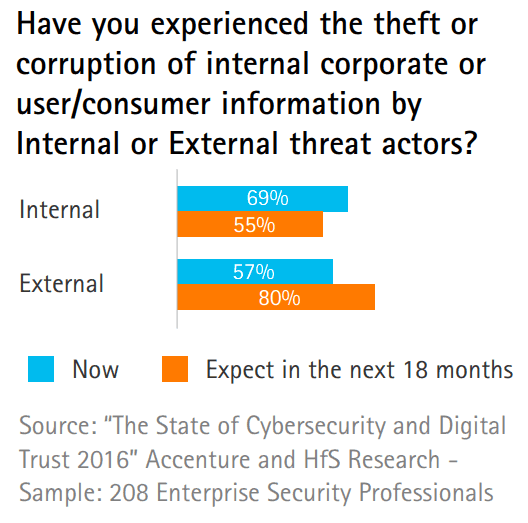 The statistic above shows how many organizations experiences data theft or corruption at the hands of either external or internal threats. 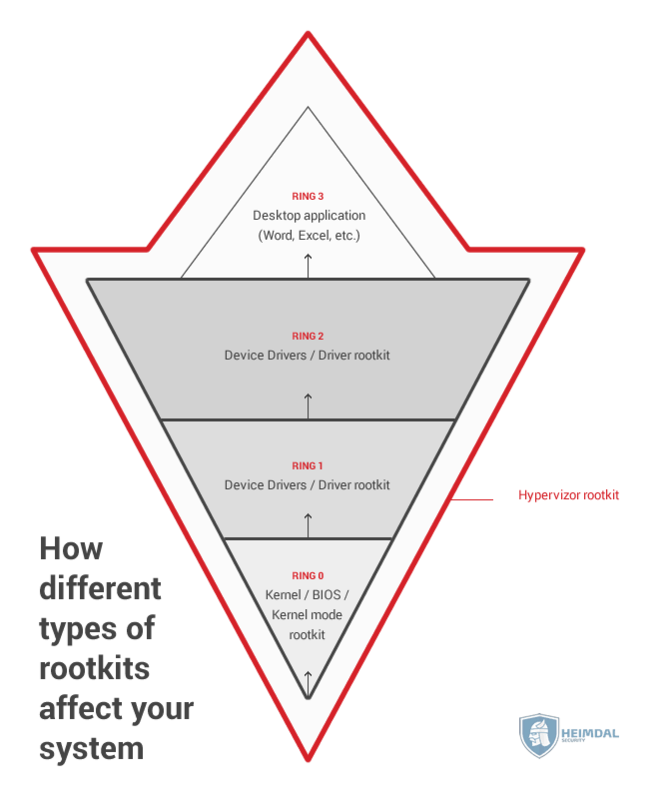 It puts things into perspective to see that organizations suffer more damage at the hands of their staff than cybercriminals or malicious hackers. Anthony Lewandoski was a high profile engineer at Waymo, a subsidiary of Alphabet (formerly known as Google). His role there was to push forward the development self-driving cars. If the allegations are true, the damage caused to Waymo, and Google for that matter, could far exceed the one caused by an external hacking. Years of hard work and investment were practically handed over on silver platter to a major competitor. Most companies don’t have an NSA-level surveillance system implemented on their systems. It’s bad for morale, and also for productivity. Still, this hasn’t stopped them from tracking down workers who wilfully stole information, or negligent ones who allowed that to happen. Zhang says he started to fear losing his job, so he snuck deep into company servers in order to find information about his potential firing. Part of the evidence used to indict Zhang and send him behind bars, was that he saved the stolen information on code directories, so law enforcement could directly connect the leaked data to Zhang. In a similar case, a Unix engineer at Fannie Mae installed a script into the banks software that would propagate through the financial giant’s networks, and wipe out all the information in it. Unlike Tim’s case however, his script was discovered and disabled before activation. Abrahimshah Shahulhameed was fired from his position as a contractor for Toyota, but the account he logged into for work wasn’t deactivated at the same time. So later in the day, he logged into his former employer’s account, and stole confidential information about the company’s component distributors, product testing data and other similar information. He then sabotaged 13 other applications in the website, rendering most of it inoperable. 1. Deactivate a former hires login credentials as soon as he stopped working for the company. There’s no way of telling if the colleague will go rogue, and then use the shared information to frame his innocent, but naïve, coworker. Companies also have to worry about negligent or untrained workers, not just ill intentioned ones. For instance, he might send carefully personalized phishing emails to one or more employees, asking them to look over the data in an Excel file, or read an important Word document. 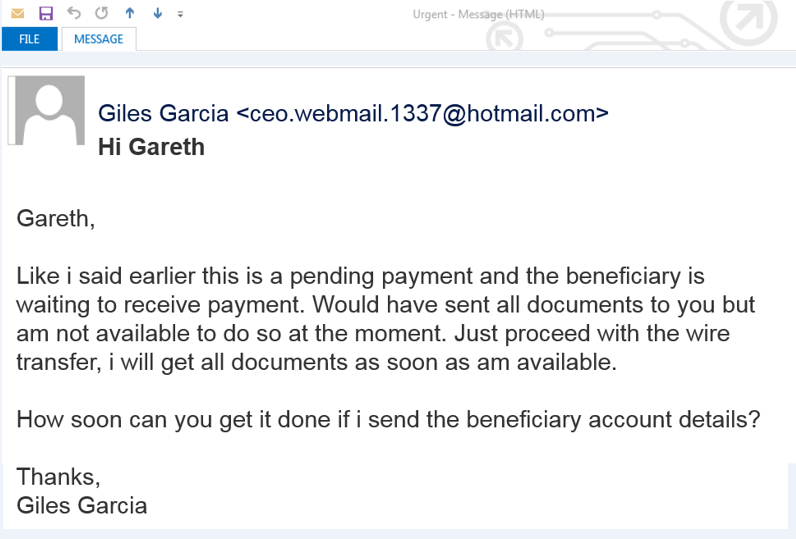 During a whaling or business email compromise (BEC for short), an attacker will pretend to be the company’s CEO or other high-ranking executive, and then send an email to other employees asking them to do a payment to a particular account. One crucial moment when workers go rogue is when firing or dismissing them. The vengeful ones feel the measure is unjust, and try to exact retribution on the business the only way they know how. Most measures involves greater oversight and control over a company’s files and data, such as tracking who downloads or sees them. Some contractors require access to sensitive company data in order to do their job, and this implies on obligation on their part to protect your information. Ask about the contractors security procedures, how they handle sensitive data and how many people will have access to it. If their procedures aren’t up to your standard, don’t sign them on. Before giving him the pink slip, a management should start monitoring and keeping an eye on his activity. The monitoring should continue from the time he was informed of the decision all the way to him actually departing the company. Ideally, work credentials and accounts should be deactivated right on the last day of work as well. This should prevent them for logging into them in the future. Companies that don’t invest in educating their users about the risk of cyber threats risk falling victim to one. For this reason, every organization should insure periodic training to keep their online security wits and reflexes sharp. It’s an uncomfortable realization for any company to know that its own workers might be its biggest cybersec threat. Unfortunately, there is no silver bullet that can guard against this, so a business has to rely on a web of preventive measures to avoid such a situation.